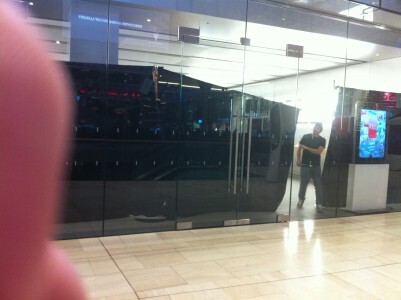 Hey guys, we have our hands on some pictures of what looks to be an Apple Store covering it’s windows. Now, the information we have is that they are not setting up for the Verizon iPhone, but rather, they are training for some new protocols and new ways for them to help people on the sales floor. However, in the information I received, it looks like training for the Verizon iPhone will begin next week to prepare for (what I believe to be) a February 3rd launch. As the rumors and information keep popping up, there is no doubt in my mind of what will occur tomorrow. Leaks coming from AT&T, Verizon, and other sources certainly point to that direction. I think this is such a great move for Apple, can’t wait to try the phone out on their network , I just hope Verizon keeps the price of the iphone plan down. It’s got to be better then AT&T. 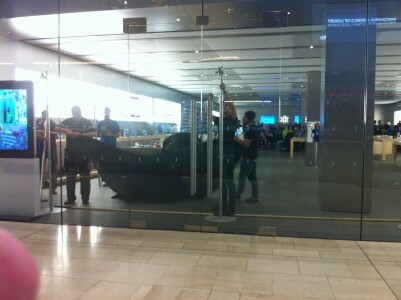 Wouldn’t be nice if Apple came out with an iphone for all carriers.